BASED IN SLOVENIA, IN A PRISTINE NATURAL ENVIRONMENT SURROUNDED BY FORESTS, ALPINA IS A BRAND NAME THAT GUARANTEES HIGH-QUALITY CRAFTSMANSHIP, UNCONVENTIONAL SOLUTIONS, AND FUNCTIONAL DESIGN. AMONG ITS MANY PRODUCT RANGES, ALPINA IS GLOBALLY BEST KNOWN AS THE FIRST CHOICE OF OLYMPIC AND WORLD CUP WINNERS IN CROSS-COUNTRY SKIING RACES. HOWEVER, THE TOP KNOWLEDGE AND STANDARDS NEEDED TO MEET CHAMPIONS’ EXPECTATIONS ARE INTEGRATED INTO ALL OF THE COMPANY’S SPORTS AND FASHION FOOTWEAR, SPREADING ALPINA’S FLAIR ACROSS THE GLOBE. CRAFTSMEN IN THE SMALL TOWN OF ŽIRI HAVE BEEN MAKING FOOTWEAR SINCE THE MIDDLE OF THE NINETEENTH CENTURY. A LOT HAS CHANGED SINCE THE GOOD OLD DAYS, BUT THIS DEDICATION TO CRAFTSMANSHIP AND HANDIWORK HAS REMAINED PRACTICALLY THE SAME. EVERY SHOE THAT COMES OUT OF THE ALPINA DEVELOPMENT CYCLE BEARS TRACES OF TIMELESS WISDOM AND EVERLASTING KNOW-HOW. The main idea of the Alpina Outdoor Team is to inspire outdoor enthusiasts to live their life to the fullest. In Slovenia, the homeland of Alpina, we were given a number of convincing reasons from applicants on why they want to become a part of the Alpina Outdoor Team. Ultimately, eleven of them were invited to become a part of our story, together with Slovene alpinist Viki Grošelj. They are conquering peaks as a team and are improving in every possible way with the expert experience and guidance that only Viki could give. This is a unique and memorable experience for everyone involved. They also had the opportunity to learn about the development and production of the footwear in Žiri, Slovenia. 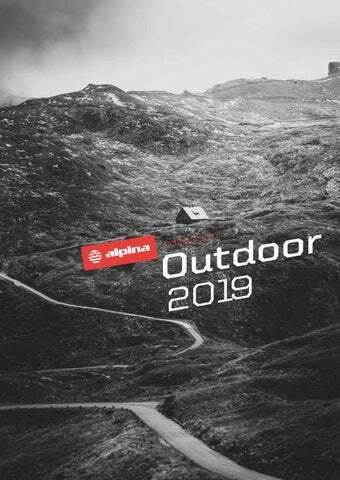 This cooperation with our consumers/customers keeps Alpina connected with the great outdoors. Fulfilling the market demands, we offer different solutions. One of them are advanced light hiking shoes that have a simple upper construction, are made of light fabric material with tech look, and have meticulous details. The aim of the design is to stand out due to bright and strong contrast colors. We simplified the design so that the main features of this trendy product became materials and a feeling of lightness. Our aim is to have a special product which will stand for important values like SPEED, LIGHTNESS and RELIABILITY. These characteristics create a solid personality of the shoe. Every single piece give strength for create a UNIQUE ID. What was your inspiration when you were planning the BREEZE projects? Which is the design feature that will determine the projects? The inspiration for the design was taken from the fact that Alpina is a Slovenian brand with a long tradition; therefore we tried to integrate the Slovenian Julian Alps and their rock surface with the technical features in the BREEZE project. What is your opinion of the existing co-op in terms of design? Do you find it challenging and interesting? 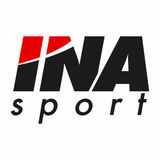 In my opinion trying to renovate or relaunch a historical 70-year-old brand is one of the most interesting challenges design-wise. What is the added value of the new design comparing to Alpinaâ&#x20AC;&#x2122;s exiting styles/products? Why will this new design help Alpina to increase sales on foreign markets? I think when a well-known brand like Alpina which has already a plenty of features and a lot of products in its portfolio, launches something which is improved in terms of fitting, comfort, lightness, and technical features like grip and stability, the products immediately catch audienceâ&#x20AC;&#x2122;s attention. Everybody wants to belong to something but also wants to stay modern and unique. I think curiosity generates new markets and pushes people to discover your brand history. What is your perception/opinion about ALPINA on a product and brand level? For many years Alpina has been focused on classical outdoor products, which were also meticulously manufactured. If we can combine this with the new design we can compete with the more well-known brands. How do you see the future of ALPINA? Do you see an opportunity in extending our collaboration also to other product categories? In the next years, I predict a big evolution for Alpina, with the new design language we can extend the product portfolio to other outdoor niches, such as trail running, sky running, mountaineering, and propose products at same level of more well-known brands. How do you evaluate our existing co-operation? I think cooperation depends on the people and until there will be passionate people who will be able to sit together around the table, and have a fruitful discussion there will be productive cooperation. I see the cooperation between Alpina and me as being an excellent one. Good boots will take you wherever you want to go. They don't care about the weather, and they are not particular about the terrain, either. They just go. Your favourite new shoes combine high-tech solutions with natural materials. They are easy to handle. They alleviate pressure and offer important comfort over the long or short haul. They are there, for you, to serve, support and protect. Our fast-paced world demands fast thinking and acting. The right technology and innovation creates tomorrow's solutions today. Alpina Approach treking shoes deliver speed and agility of movement, lightweight construction, comfortable fit and superior protection. Take the path less travelled and enjoy untouched nature in all its glory. Nature in the winter holds countless breathtaking moments to live and experience-and there's no reason why the elements should stop you. Alpina Winter Trekking shoes were developed to withstand wind, cold and snow, and in perfect comfort thanks to warm, waterproof and highly durable materials. Put them on and enjoy your winter like never before. Once you pull them on you won't want to take them off. These hiking boots inspire with their ability to protect. They protect the sole from continuous impact, they give you the ability to adapt ani kind of surface or condition, and they offer the flexibility needed for a good, rewarding climb. The natural choice for making your way through the urban landscape. Exceptionally soft, smartly formed soles provide optimal cushioning and support-the ideal start for hours and hours of quality, comfortable walking. Little explorers with unlimited energy and endless curiosity need a proper trekking shoe. Alpina Junior trekking shoes are specifically designed to fit kids' feet, feet that are still growing, developing and always exploring. Get them out and see the whole family enjoy the great outdoors in total comfort and safety. ALPINA, d.o.o., Strojarska 2, 4226 Žiri, Slovenia T +00386 4 51 58 000, F +00386 4 51 58 370 Alpina, d.o.o., Žiri, Slovenia; PHOTOGRAPHY: Tilen Sepić; DESIGN: Miha Štih PRINTED BY: Gorenjski tisk d.d., 2018 © Alpina reserves the right to make changes to any product shown in this catalogue which we believe will be an improvement.